Small - $60.99 Only 3 left! Medium - $53.99 Large - $60.99 Only 7 left! X-Large - $67.99 Only 1 left! Costume fashion is a serious thing. Whether you're a cosplay superstar, or just like to wear your fandom on your sleeve (literally!) there's plenty, plenty of ways to infuse your fan fashion into your wardrobe. Well, we'd like to introduce you to our favorite. The skater dress! 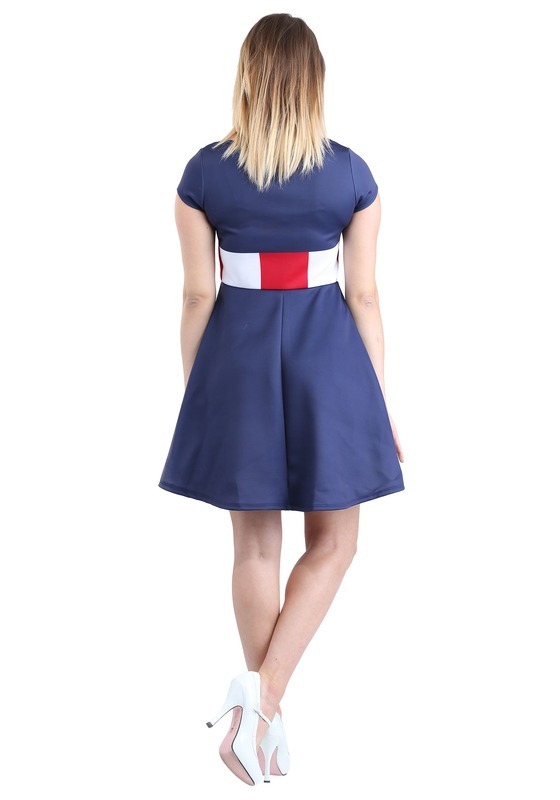 This Marvel Captain America Dress comes officially licensed from our friends at Mighty Fine, and they know just a thing or two about making fan fashion that's fun and functional. And oh-so fashionable! As an easy costume dress, you'd have no trouble becoming a hero of your own by wearing it to the big costume party. But it's so much fun, we're certain you'll find it slipping into your regular wardrobe rotation. You're known for saving the day, anyways, so you might as well dress like a hero in your day-to-day life! Marvel officially licensed by Mighty Fine, this dress has style directly inspired by the on-screen gear worn by Captain America in the latest and Greatest Marvel flicks. The star logo and stripes are graphic printed on the body of the dress, and it's made with a polyester and spandex blend for just the right amount of stretch. Wear a dress... save the day! 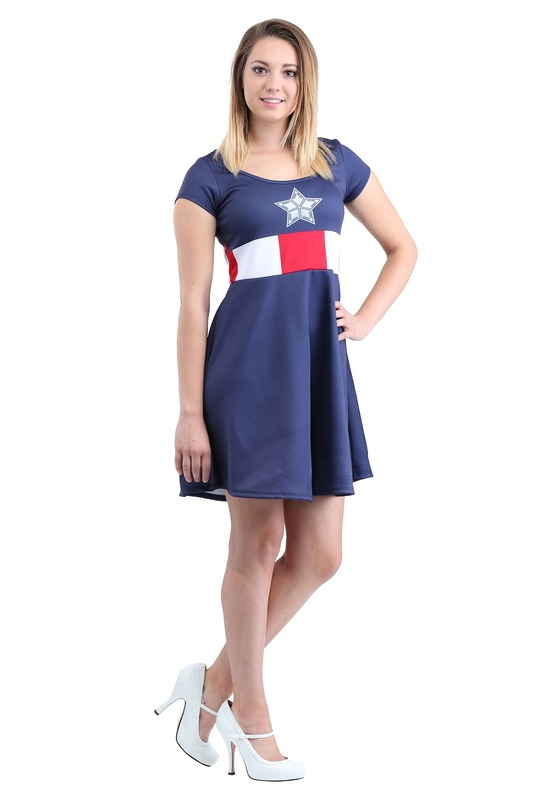 Whether for a costume party or for any day when the mood strikes to wear a dress, keep this women's Captain America dress at the ready, and you'll have a mighty heroic look ready to go. You never know, you might really might end up saving the day!